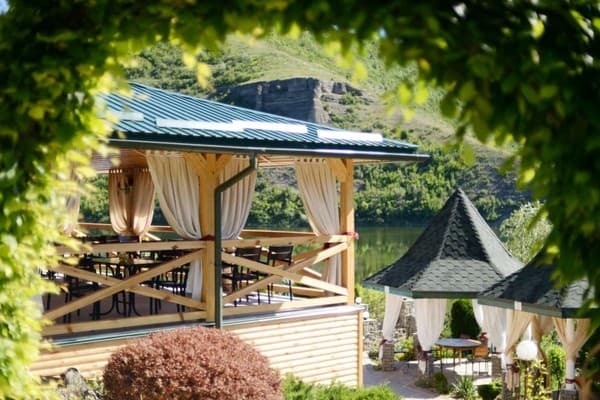 Hotel and restaurant complex "Xenia" is located in the village Vrublevtsi, 17 km from Kamyanets-Podolsky on the slopes of the Dniester River. Standard, Economy, Standard Superior and Junior Suite rooms are available for guests. Rooms are equipped with double or single beds, necessary furniture, a bathroom with toiletries, in superior rooms and junior suites, there is also a fridge and a TV. On the territory of the complex is a restaurant with Ukrainian and European cuisine where you can hold various activities: weddings, birthdays, corporate parties. 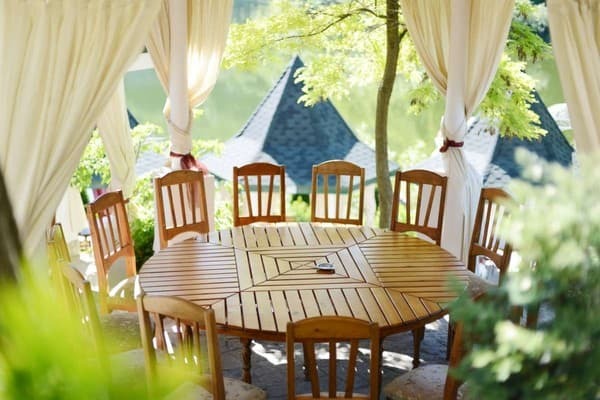 There is also an outdoor pool with sun loungers (use is included), gazebos, sauna, barbecue facilities, vats, children's playground, steamer and catamaran hire. Guests can relax and get well in the SPA salon where various procedures are available, salt cave, hammam. For meetings in the hotel is equipped with a conference hall for 100 people. Distance to Khmelnitsky - 109 km. 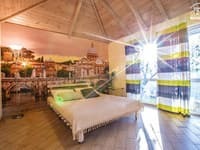 Описание номера: The room has two single beds. Описание номера: In the room there is a double bed. 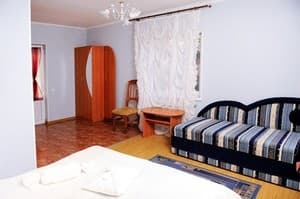 Описание номера: Two-room suite with a double bed and a sofa. The cost of additional space is 250 UAH (breakfast included). On the territory of the complex is a restaurant with Ukrainian and European cuisine where you can hold various activities: weddings, birthdays, corporate parties. Hotel and restaurant complex "Xenia" is located in the village Vrublevtsi, 17 km from Kamyanets-Podilsky. The distance to Khmelnitsky is 109 km. From Kamyanets-Podolsky go along the road T2317 to the village Vrublevka, the complex is located in the eastern part of the village.